Last week I was talking with some friends about strange roadside attractions across the U.S. and some of us had even seen some of them as kids on family trips. We also talked about some of the out-of-this-world parades and festivals that exist for different things. I won’t go into it too much but these talks sparked me looking for random vacations that might have some pet-themes or quirky places that you can go if you are a pet lover. I found a few for those of us who are cat lovers (sorry, dog people). Cat Cafes – A long, long time ago I wrote about cat cafes in Tokyo where you can buy a latte and then sit and read with a room of cats that will make you feel like you’re at home… want some cat hair in your coffee? Want a cat that will sit on the arm of the chair? Or maybe you need a cat that will nudge your hand for petting. If so, try one of these three cafes: Shimokitazawa’s Cateriam, Nekobukuro, Curl Up Cafe. The Ernest Hemingway House – going to Key West, Fl? 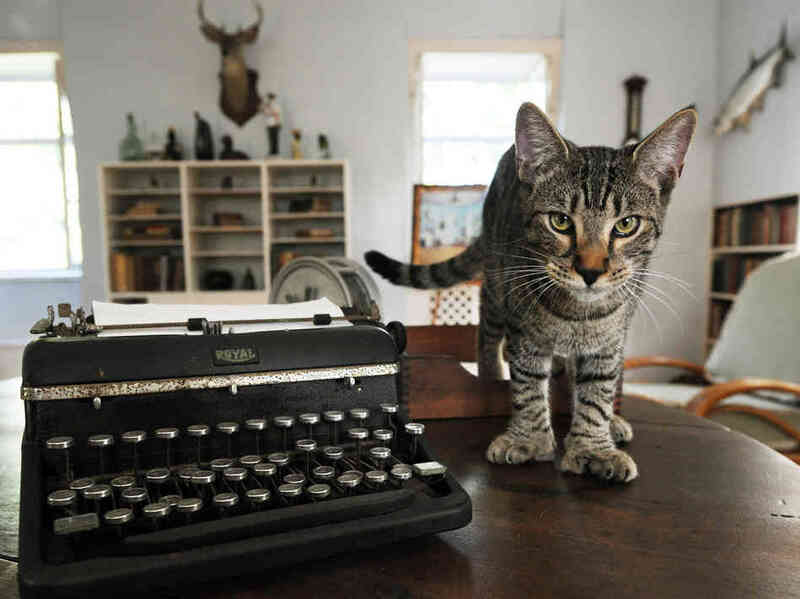 If you take a tour of the Hemingway Home and Museum you will most likely meet a few of the 40+ cats that live there. Many of the cats have extra toes and may be descendants of Hemingway’s cat, Snowball. The cats are all cared for, have a good life, and are named after famous people. You might meet Hairy Truman. Moscow Cats Theatre – The cat theatre has been around since 1990 and is a father-son owned business. The theatre might spark a little controversy among some people regarding the well-being of the cats, but they seem quite happy from what I’ve read and researched. Every performance has some VIP seating for children who are in foster homes and orphanages, physically-challenged people, and children from children’s hospitals. In 2005, the theatre gained the status of a State Cultural Institution, which means, you have to check it out if you’re traveling through Moscow City! Hello Kitty Amusement Park – Ok, I was shocked to find this. Some of my friends got really excited when I told them this park existed. It’s in Tokyo and all the rides are cat-themed, musicals and dancing are done by people dressed as Hello Kitty and friends, and there is a replica of Hello Kitty’s house that you can walk through. It’s like visiting Disneyland but 100% Hello Kitty. It’s officially called Sanrio Puroland, but really, it’s Hello Kitty world.